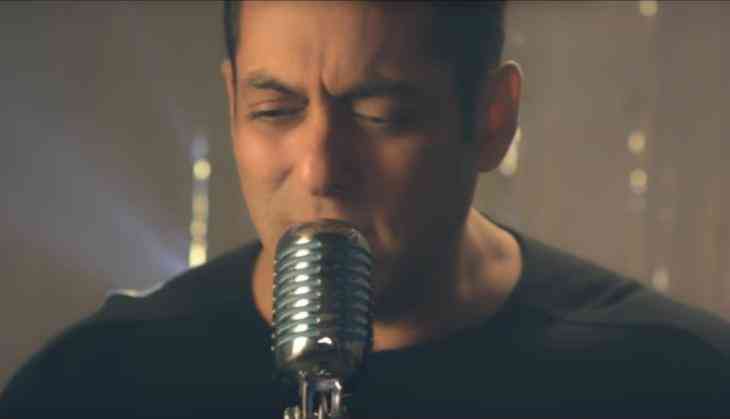 Bharat star Salman Khan has sung one song in his production venture film Notebook, and now he has made the song out. The song was actually sung by Atif Aslam but after that Pakistani artist's controversies, the makers drop their song. So when his song was dropped the question was that who will replace Atif's voice. Well, you have so many options the music director Vishal thought of taking Salman Khan in the song. Salman Khan earlier had sung few songs some worked and some totally got ruined. Like that, this one is also going to be a ruined list. The song could have been gone better but it failed and just became a mismatch one. Talking about the film, Notebook stars Zaheer Iqbal and Pranutan Bahl in the leading roles and both are making their debut on silver screen with the film. The film is going to release on 28th March 2019.